I can't find a story I read about Ash/Alain but what I remember is that Ash is in Alola and has Nebby, who teleports Ash to Ten Carat Hill in the middle of class and he lands on top of Alain who was in Alola during research of some kind. They aren't together during the beginning of the story but Ash has a crush on Alain for sure. The Johto seasons ended in Japan in 2002. That means this November it's officially been 16 years since it ended, and of course the permanent end of Misty as a main character and the original trio. Of course Misty got a few returns in the series, but as a main character she really did stay gone for good since the end of Johto for the entire duration of the series. It's funny how almost 20 years has passed since then, it certainly doesn't feel like it. I guess not enough people really cared when Misty originally left to get her back in the series, so she stayed gone when May was introduced and became one of the most popular characters, and then we went on from there with every new companion. I heard Takeshi Shudo said he removed Misty because he felt she was the least justified character of the original cast and wasn't a particular good female character, lol. SIGN UPS ARE OPEN for the Pokémon Holiday Fanwork Exchange! All writers and artists are welcome. Sign up, give a gift, and receive one in return! We continue to accept fanwork from every area of the Pokémon franchise, including Let’s Go Pikachu/Eevee! The exchange is run on AO3, with tumblr updates. Hello all I’m Chris, I have been binging the pokemon anime on netflix and stuff so i still really looking to RP Pokemon again, and am still desperately looking for people! Specifically, I want to write m/m gay as heck stuff for it again! I have a plot in mind, and i’m looking for certain male canon trainers to play against, Ash Ketchum from the anime being the biggest one, but i’ll happily take some of the game characters too. I’d want to either play an OC of mine or one of my own canon muses that i can discuss in detail in private! Please drop me an e-mail at Granis25@gmail.com or PM this journal and i'll give you my IM contact info. I decided to write a fanfiction about Red's story: of how he became the champion, but with a darker and more realistic setting. I found that the original game mechanics would work better if I were to change them, so you'll be in for a surprise for the later chapters of the story, since I've gotten an original take on it and modified them to my liking. So far, only the first chapter has been released. I would appreciate if you were to check it out and offer any feedback on any improvements that could be made. 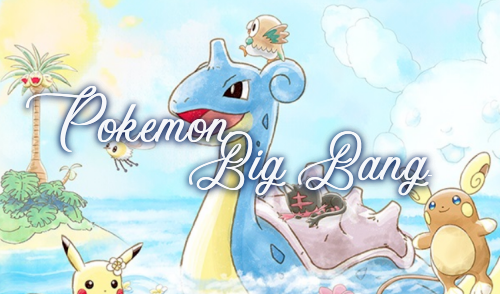 Pokemon Big Bang is open for sign ups! Calling all writers, artists, and beta-readers! The Pokémon Big Bang is now open for sign-ups! Pokémon Big Bang is a fandom challenge where people collaborate over the summer to create (at least) 10,000-word, mixed-media works. Everyone is welcome to participate—writers, illustrators, fanmixers, graphic designers, fanvidders, podficcers, cosplayers, sculptors, beta-readers, anything. Make new friends, challenge yourself, and work with others in a way you may never have before! Writer sign-ups are from April 1-May 1, 2018 (artists and beta-reader sign-ups open on April 1 and do not close) and the big bang begins on May 3, 2012. 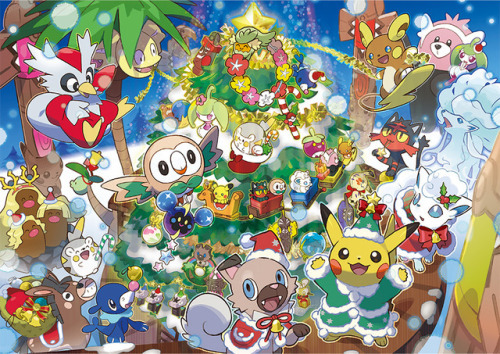 The eighth annual pokémon holiday exchange is here! All writers and artists are welcome. Sign up, give a gift, and receive one in return!